Bandung, what a lovely city to visit. You might wonder right now, why is this city such a pleasant place to stay. And at night you will certainly have a nice cold weather to get in sleep. You really need a blanket. Yes, the food. This is the heaven for food lover. Many people come from Jakarta in the weekends just for food. That’s why the traffic is really terrible in the weekends in this city. Just visit on the weekdays, so you won’t get stuck in traffic. I can tell you so many things about food in this city, really a lot. Bandung is the place if you want to taste the sundanese cuisine; it’s the best place to proof that. There is everywhere Sundanese restaurants. Choose wherever you want. You can find it in every corner. But you want to know right now, which one is the best? I can’t tell you which one is the best. Each restaurant has their own specialty. For example the best gado-gado pengantin (vegetables with some nut sauce) that you can get is in the Saung kabayan restaurant on Dr. Djundjunan Street. It’s easy to reach by car, and located pretty close from center of the city. 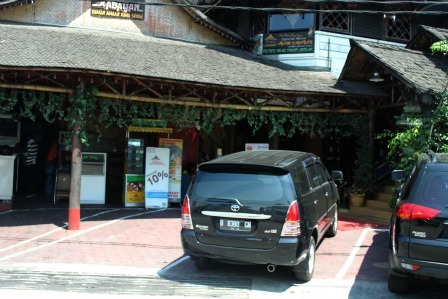 If you want more exclusive sundanese restaurant, go to Restaurant Kampung Daun on Sersan Bajuri Street. It’s a little bit far from the center of Bandung. It’s quite long way to reach this restaurants and the way is going up. Not pretty ideal situation if you’re hungry. But it’s really recommended. Beside sundanese cuisine, Bandung is very famous with their pastries and cakes. It is very famous with their soes merdeka, this snack can you buy at Merdeka Street, its cost IDR 6000 a piece, about $ 0.60. Or you can get the most exclusive cake (at least that’s what I find) in Bawean Street; Sweetheart is the name of the cake store. This store has been existed for a very long time since I was a little girl. I can remember that my mom buy the cake from sweetheart for our birthday. It’s still a lovely cake store until now. And the taste? It’s fabulous. And don't forget stopping by prima rasa (another cake store) with their specialty chocolate/cheese brownies. You don’t want to miss this. There are several places in Bandung where you can find Prima rasa store. 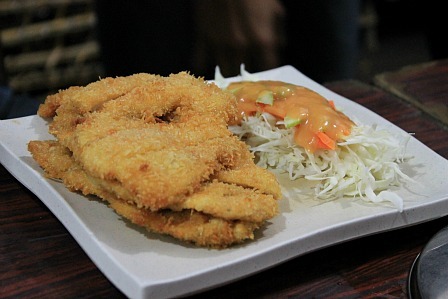 On Kemuning street, Buah Batu, and the closest one and easy to reach is the new one on Pasirkaliki street. If you’re on hunting path for food don’t forget to stopping by Cake Store Maya Sari for their famous Peuyeum and Pisang Bolen. I like this version very much, this is the tastiest, and it’s very different taste than by Prima Rasa or Kartika Sari. If you like pastries go to Nyonya Liem store on Naripan street. There are a lot of choices. You can also buy cake ingredients there. The best cake of Nyonya Liem is Lapit legit and the pastry is cheese sticks. So, you know a little bit about where the best cake and pastries you can buy in this city. 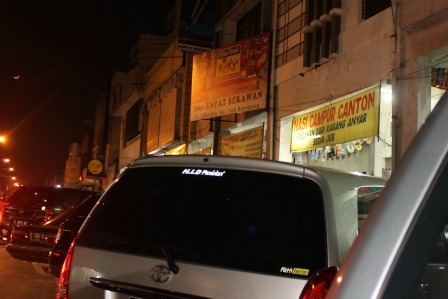 At nights, go to Cibadak Street. It’s really busy street. 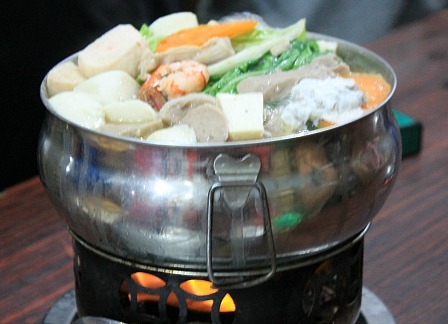 This is a center of food, along the way you’ll see the sea of food, there are enormous, really big in taste and choice. Choose whatever you want. 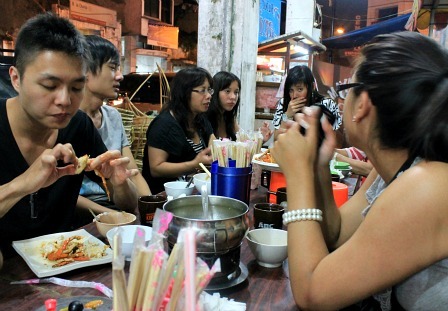 Chinese, Japans, local cuisine, snacks, rice porridge (bubur ayam), there are all there. My son, Nathan enjoys the food there. He is really picky about food, but this time he can’t escape it because the taste of the food is really grandiose. I like going there. It’s cheap and the most important is the good taste. You have nothing to exclusive and expensive restaurant if they are tasteless. We always say “murah meriah” cozy and cheap. So I would say personally, this is the best place you have to be if you want to enjoy the food in Bandung. Now, we’ve come on the third point of why you should visit this Paris from Java, the nickname of this city. Bandung lie on 768 meters above sea level, what makes this city is so attractive with his surrounding volcanic mountains. 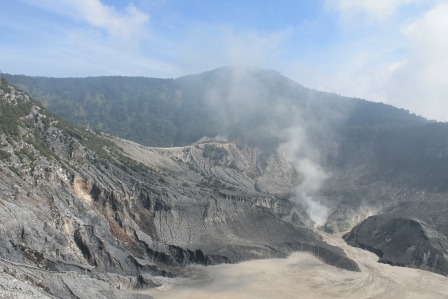 The volcanic mountain is certainly the legendary Tangkuban Perahu on the north side of the city, you might be ask by yourself why is this volcanic so legendary? Yes, there is a story behind the scenic mountains, an interesting and impossible story, but that is a legend, that does not have to be true, right? So are you ready and steady to read this roman volcanic? 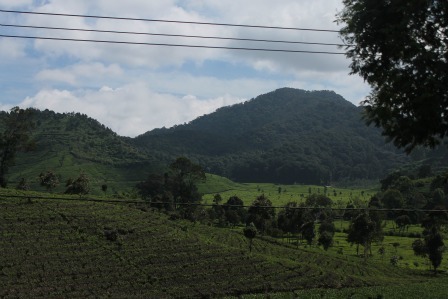 The other famous mountain is the Mount patuha on the south side of the city. But people seem to forget that this place exists, so it keeps this place unspoiled. The location of this mountain is really beautiful. 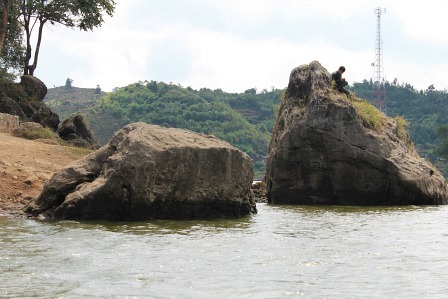 On the foot of this mountain lie the lake patenggang with another legend of love story with his love stone and Passion Island. Further there are more mountains around this city that you can see from Bandung. It's really nice and certainly worth it. Yes, a lot of great buildings are historical. They were built during de Dutch time. And until now they are still beautiful, such as Gedung Sate.This is building has a sate form on the top. That´s why they called this building as a `Gedung Sate`. During the Dutch time in Indonesia this building were used by the government. Another historical building is Gedung Asia Afrika on the Asia Africa Street. This is the building where they held the conference in 1955 about the cooperation between lands in Asia and Africa. It’s very definitely worth of visiting. And the lovely building of the famous ITB (Institute Technology of Bandung) where smart people were born…. I’m not kidding, student who learned here are really insightful, mouth full this word. But the building is really nice and surrounded by calm environment with some horses at the front side. We’ve come to the fifth point. If you like art, visit the Wayang Golek Puppetry and gamelan. That will led by Asep Sunandar Sunarya. He is hilarious and full of humor. If you like gamelan you will enjoy the show. Not my thing actually, I’m very sorry, but everybody is different, right? might be you will like it. 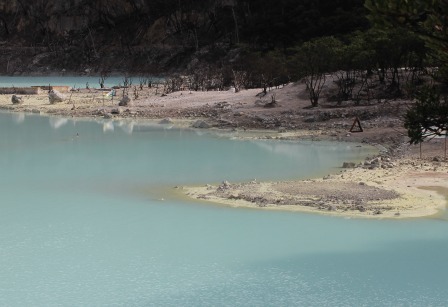 So, until so far the story of Bandung, I hope you will like this city. 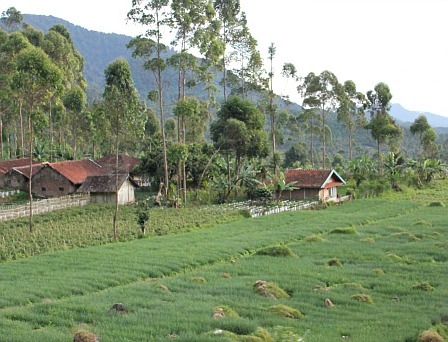 Need a few days to discover all that lovely places around Bandung? See our offers for some hotels.